Chocolate lovers were in for a delectable delight with the Chocolate High Tea Buffet at the Hilton L.A.B last week, where they introduced their seasonal produce for the month of August. With cocoa as the central focus of August’s culinary delights, the presentation of cocoa infused dishes was every chocoholic’s dream come true. We were greeted with an array of assorted chocolates with old and new flavours alike, as well as cakes and desserts. Guests were free to indulge in chocolates with interesting and exciting flavours, made right at the kitchens of Hilton. 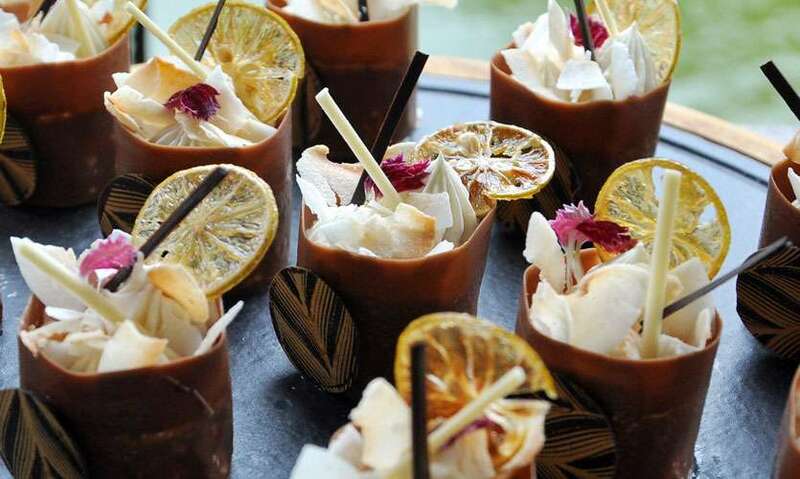 Amongst flavours such as Nuwara Eliya Tea, Cardamom, Ginger and Mint, the popular choice of the afternoon seemed to be Dark Chocolate with Orange and Jack Daniels, presented in beautiful cocoa pods. Although the title of the most interesting flavour was deserved by the Ginger and Mint combo. 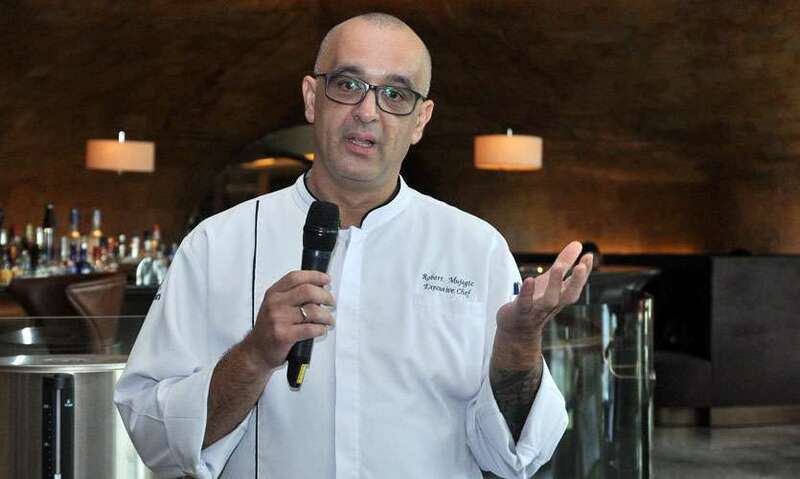 The Hilton’s brand new Executive Chef Robert Mujagic was full of enthusiasm in presenting his team’s exciting and amazing flavour combinations. Cacao fruits whose seeds are used to make cocoa confectioneries were known as 'the food of the gods' by the ancient Greeks, Chef Mujagic said. He detailed how fitting this honorific was as cocoa is an ingredient with so much versatility, made evident with each of his culinary creations. he noted. 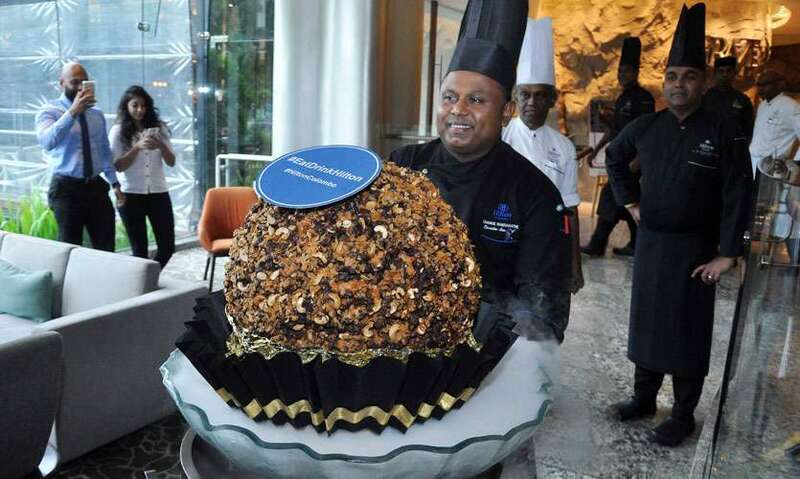 The real surprise of the evening was when chef Mujagic presented the guests with a giant ball of chocolate made of dark chocolate, cashew, walnuts and ganache on the inside. For those who weren’t fans of chocolate, they presented a limited range of savoury dishes. 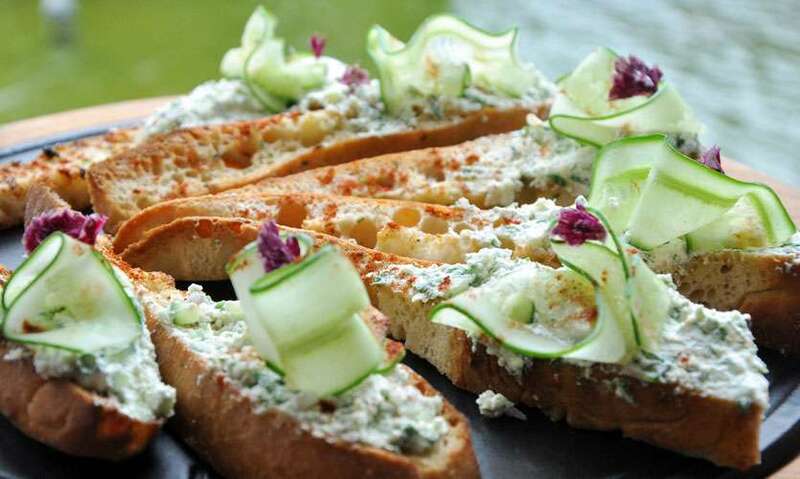 We tried the Cucumber Mini Sandwiches which were deliciously refreshing with pops of Tzaziki. It had the perfect balance of texture, with the creamy tzaziki filling against the crunchy bread; cool, filling and ideal as a palette cleanser! 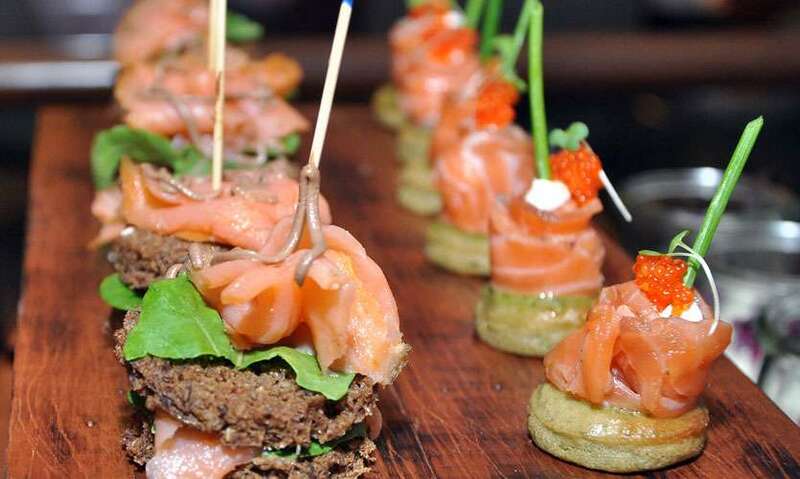 The Salmon Sandwich with Wasabi cream topping, rocket and dark chocolate felt a grainy and sticky in texture. The salty salmon was the mini hero of this sandwich. The creamy and soft coconut mousse melts in your mouth with just the right amount of sweetness. The toppings of tender coconut chips and the caramelized lime make way for a tangy and crispy surprise. This red little delicacy from Australia was the only disappointment in my plate. The sponge cake coated with a layer of chocolate sauce and rolled tender desiccated coconut offers an idea of a delight. Even though the tangy centre was a good effect to counter the tiny meringue on top, the sponge proved to be dry, making it a little difficult to enjoy. 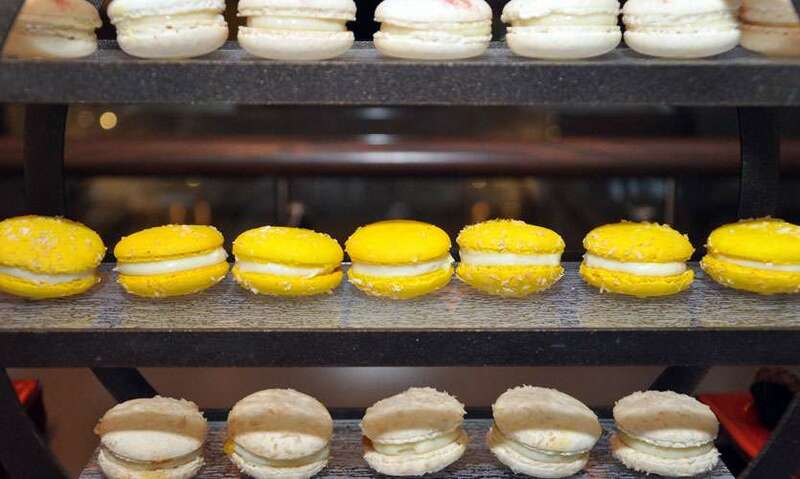 The yellow coconutty macaroons with hard chocolate centres, crumbled and melted in my mouth while added to the evening’s colourful array of confectioneries. Chocolate is not an easy ingredient to work with, we learned. It takes a combination of skill and other factors ranging from time to temperature to get it right. A small step gone wrong can easily warrant a do-over in the kitchen. 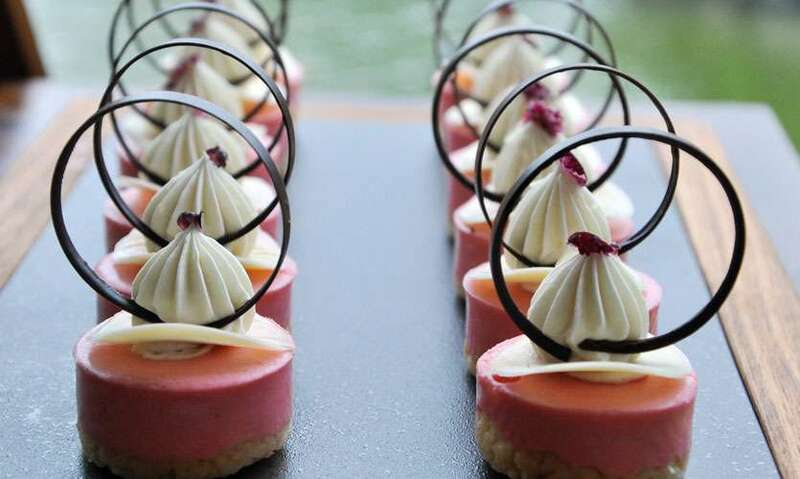 Given the time and effort dedicated to these inspiring dishes, the Chocolate High Tea at the L.A.B is a must for lovers of a food adventure.